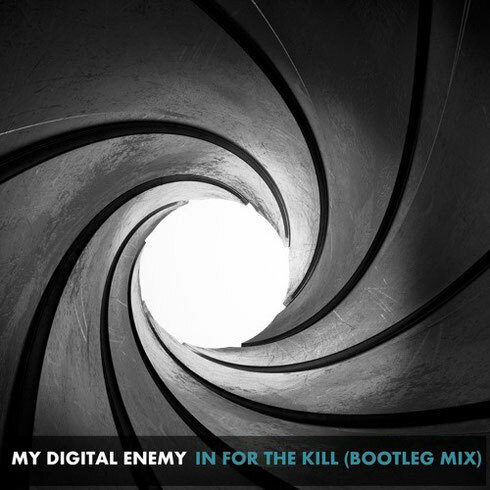 My Digital Enemy are returning to the fold this autumn with another slice of house music. Taking inspiration from popular culture, they return with a bootleg version of La Roux's ‘In For The Kill’, updating its melancholic structure to reveal a dark tinged, UKG edge. Often seen gracing the likes of Toolroom, Stealth and more, their official bootleg of La Roux marks their return to Zulu Records, the imprint they founded in 2012 as their vehicle for fresh beats and home to sounds from the likes of Tittsworth, House of Virus and more. It's not the first time the pair have set their sights on more pop-crafted music; having previously worked with and remixed the likes of Snoop Dogg, Beyonce and Groove Armada. Zulu Records also finished up 2014 as Beatport's fifth best-selling house label. Retaining La Roux's recognisable vocal stems, the British duo go to work on crafting the reinvented sound, taking influence from broken beat and UK garage. Raw and untreated snares set the tone for shuffling hi hat percussion and a whistling, ethereal melody underpinning the groove, before bringing in La Roux's vocal verse before launching into a haunting, drawn-out UK garage hybrid. It’s a free download, check it out below.